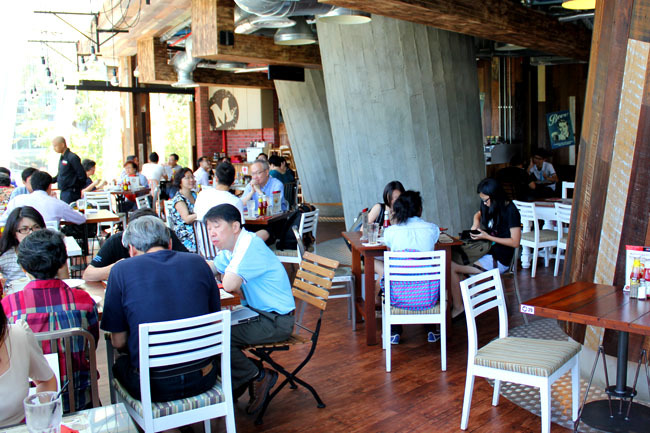 Unexpectedly, Morganfield’s picked a shop space that many of the other restaurants did not want, due to the humongous chunky pillars in the middle. (These could be their lucky pillars.) And make a good guess this BBQ-ribs restaurant originated from? America? Australia? Hong Kong? Surprise, it’s Malaysia. Maybe it is because the food is not that bad to begin with – wholesome, family-style, huge portioned American meals that encourages sharing among family and friends. It doesn’t hurt that the weekday lunches are really quite affordable (They should also consider doing a cheap, fast and good Sunday New Creation Church set). 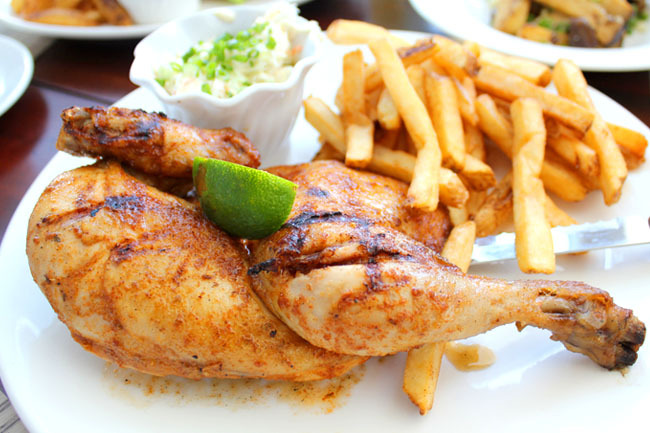 Think about having its popular Black Pepper Chicken Chop ($9.90) which comes with coleslaw and French fries, or Tequila Spike Chicken ($20.90) marinated with spicy Tequila, lime paprika, char-grilled and served with sides. You may need two pax to finish this. 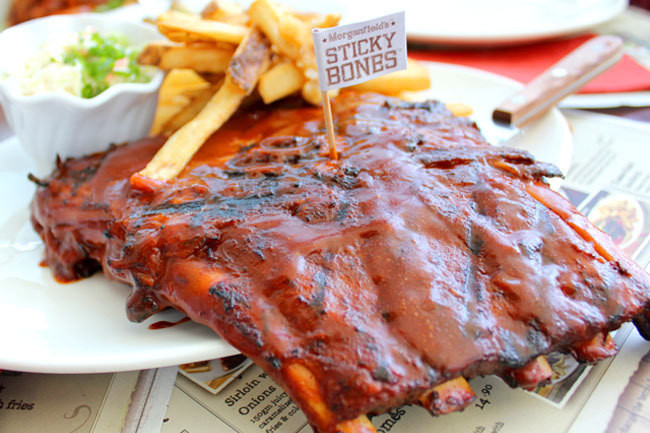 Called the Home of Sticky Bones, Morganfield’s signature dish is the Hickory BBQ Spare Ribs ($24.90 for half, and $36.90 for full), which weighs more than 2 pound. It is VAST and almost bigger that the plate. The taste is the usual old-fashioned style with sweet and tangy barbeque sauce with a hint of cider, yet not overly distinctive and strong which would mask the flavours of the prime pork. It is not fall-off-the-bones tender, but soft enough that won’t cause your teeth much trouble. Online reviews were not raving, but it was better than I expected. My personal preference is the Hot Ribs Sandwich ($19.90 with lunch set), with chunks of pork ribs pulled off the bones tossed in a special BBQ sauce and sandwiched in a warm buttered bun. 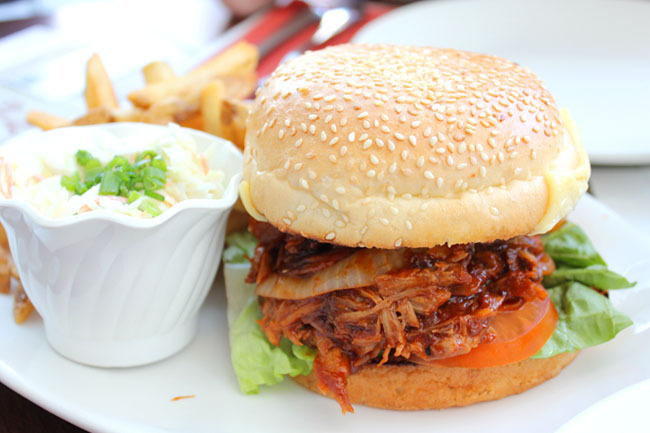 Consider me lazy but this burger is both easy to eat and tastily filling. 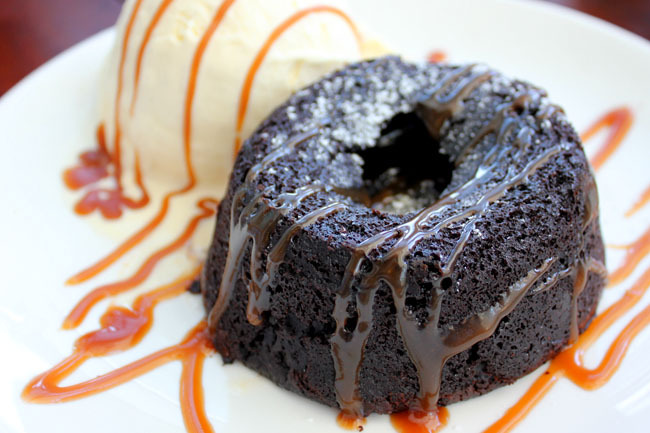 On a sweet note, the Chocolate Lava Cake ($13.90) is moist and warm with rich chocolate cream. It was supposed to be sharing dessert, but I finished like 80%. Opps. A pity that the chocolate did not flow, yes, did not flow. The Star Vista is the year best’s newcomer for its selection of restaurants. No other malls really come close. 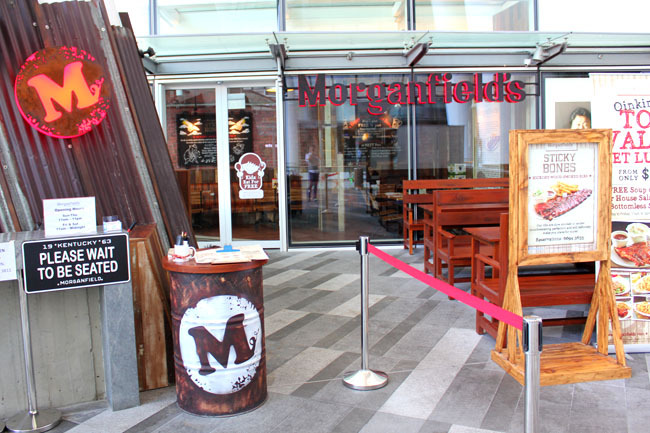 With hearty food, great location, and atmospheric dining area, Morganfield’s is one of THE restaurants to look out for.